Ok-hui lives with her grandmother, her mother and the maid. People refer to their house as the "Widow House" because all three adult women who live there are widows. One day, a teacher named Mr. Han moves into the house as a lodger. 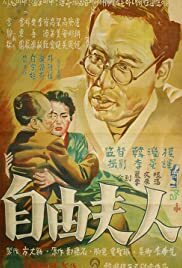 A pressured accountant, his war veteran brother and their dysfunctional family struggle with integrating into post-War Korean society. A selfless young woman (Supriya Choudhury) sacrifices her own happiness for her unappreciative family. A composer and his wife are thrown into turmoil when a housemaid becomes more than they bargained for. The chronicle of the political tension in Chile in 1973 and of the violent counter revolution against the democratically elected government of Salvador Allende. It's all happening here. A bored couple have various extramarital flirtations in a torrid atmosphere of dodgy financial dealings and lust-filled entanglements. Meanwhile the family as a family is rather left to look after itself. The acting, given that it is melodrama, is fairly good and the settings are entirely convincing. You might not like the Korean (or indeed any) version of America in the fifties but it is believable and indeed fascinating. The plot bounces along from one flirtation or crisis to another, while the female characters alternately support each other or eye each other competitively. There are resonances from a culture undergoing change and real issues and dilemmas, like all good melodramas, for the characters. What is the role of women? Is life about appearances or something more? What is the balance between thinking of the future and enjoying yourself while you can? Who is exploiting who in business, employment and relationships? Perhaps we're all using each other?